Brian Wyatt, currently leads the Medical Technology and Healthcare business unit at Cyient. These past few years have continued a trend for being transformative in the world of medical innovation. Emerging trends of 2017 likely will be no different with established foundations for Internet of Things (IoT) and wearables and other diagnostics. We will continue towards a growing integration of information technology, connectivity, access and personalized medicine. For both established and growing economies this will help drive the demand for more cost effective services and products and the desire for the consumer to be more empowered and engaged. Also, this supports the emphasis on preventative care that is a focus for most healthcare systems. In addition, med-tech focused companies will continue to examine how they build efficiencies and cost savings for success in unique emerging markets. Increased Integration of Internet of Things (IoT), wearables and other diagnostics growing integration of information technology, connectivity, access and personalised medicine innovative technology platforms and processes leveraged from other industries. For both established and growing economies, we will continue to see how rapid changes and developments are fuelled by three main problems ageing populations, high patient volume and the need to build cost-effective healthcare. These macro trends will help drive the demand for more cost effective services and products and the desire for the consumer to be more empowered and engaged. This will also support the emphasis on preventative care and population health and how to build efficiencies and cost savings for success in unique emerging markets. Around the globe, patients are becoming more empowered to monitor and improve their well-being through the use of personal and wearable devices. Consumer desire for better and more cost-effective healthcare and personal devices provide individuals a sense of control in managing their health. Although developed for various productivity and other applications, utilisation of tablets and smartphones for health monitoring purposes for a growing number of conditions continues to increase. There is also growth in remote and virtual monitoring devices owned by healthcare organisations that patients take home for a period of time. In this sense, the remote monitoring industry, which has been around for relatively fewer years, has just begun to transform medical care. The overall medical device market is expected to reach US$343 billion by 2021 and is forecast to grow data CAGR of 4.6 per cent between 2016 and 2021, according to news reports from Research and Markets (a market research company). As evidence the medical device connectivity market is speeding up, it is expected to grow at a CAGR of 38 per cent until 2020. An ageing population, demand for personalised treatment, and increased availability of healthcare are the major drivers behind this growth. In accordance with this trend, the remote and virtual healthcare industries are anticipated to benefit from this growth. A growing segment of monitoring devices are available for collecting and tracking data related to general vital signs (heart rate, blood pressure and temperature) or other metrics such as electrocardiograms (ECG) for those with heart issues or blood sugar for diabetics. Some of these products not only provide diagnostic monitoring but also apply physical therapy or even adjust ongoing therapy of implantable devices. Using Bluetooth and similar technology, caregivers can also track movements of elderly and vulnerable patients. Once collected, data is transmitted to health professionals in facilities such as monitoring centres in primary care settings, hospitals and intensive care units, skilled nursing facilities, and centralised off-site case management programs. Health professionals monitor these patients remotely and act on the information received as part of the treatment plan. Soon there could be less of a need for someone to visit the physician’s office. Monitoring programmes are tools to help achieve the ‘triple aim’ of healthcare, by improving patient outcomes, expanding access to care and making healthcare systems more cost-effective. These devices then provide the clinicians access to current and ongoing data to track the health of their patients for developing and managing individual health plans or to study trends across a defined population. Interoperability solutions for exchanging patient data across care settings is another technological development that is shaping the future of healthcare organisations and the way clinicians relate to patients. Recognised as value-based care and health information exchanges, these strategies play an increasingly important part of the overall healthcare landscape. 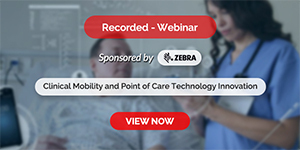 The ability for all providers from general practitioners and specialists to post-acute care organisations to connect with and assess their patients will only grow in the coming year. The Cleveland Clinic has recently named Fast Healthcare Interoperability Resources (FHIR), a new programming interface for exchanging patient records, as one of the top 2017 innovations that will improve sharing of records between and across institutions who do not typical exchange data or have different IT standards. By including post-acute care in interoperability strategies, healthcare organisations can ensure that critical patient information across all care settings will be connected, providing a more detailed patient picture for more specific treatment plans and improved patient care. Companies leading the way here have already proven the value of extending connected solutions for patients who live in remote or rural areas or have transportation issues and would otherwise be challenged to return to the point of care (physician’s office or hospital). Research shows hospitals potentially lose more than US$75mn annually per 100 affiliated physicians due to referral leakage and other communication errors, a weight that can be reduced by a proper referral network management programme that database and consulting companies can help monitor. Hospitals are reportedly starting to make changes in their budgets to identify programs that can truly help patients receive better care, and save their staff’s time in the process. Beyond large hospital systems, small-to-mid sized practices also struggle with different workflow requirements with suppliers and other providers that do not necessarily interact. Without an ability to exchange information digitally, the process breaks down, time is wasted, and there are risks that information becomes in accurate. This may also give patients more flexibility to change if their preferred provider is in a different network. A more integrated system could help reduce visits or stays in hospitals as patients may be able to recover better in their homes. For example, in a COPD pilot study published in 2014 in the Journal of Telemedicine and Telecare, patients were given a mobile phone to record major symptoms. Ultimately the rates of hospital admissions were significantly lowered and general physician visits were reduced, demonstrating the value of home monitoring. Traditional healthcare companies generally have been reluctant to adopt some of the fast moving technology changes, instead choosing to watch first for regulatory agency guidance given to these new products and uses along with market place acceptance. This has allowed entrepreneurs with smaller companies to open up innovation to stakeholders within healthcare. Also, coming with these new healthcare strategies of technology and information collection is the ongoing growth of health informatics with a goal of improving overall healthcare using IT. Most US hospitals continue to scramble to implement record systems and manage the flow of information on patients and care. While electronic records have been shown to save large hospitals tens of millions of dollars, many hospitals and healthcare organisations are struggling to keep up with government mandates to bring these systems up to date. Studies have shown that half of all healthcare dollars are wasted on inefficient record keeping processes that are not up to par with the new systems. The new software and processes being updated streamlines the medical care process, lowers malpractices claims and increases coordination between providers and patients. All in all, additional major investment is required to drive down costs and improve patient outcomes. Practitioners and medical researchers can look forward to technologies that enable them to apply data analytics to develop new insights, find cures or treat difficult diseases. Healthcare CIOs and other IT leaders will have responsibilities for managing all the new data and devices that will be transforming healthcare as we know it. Although 2016 will be seen as the year of more informed treatments and faster innovations leading to greater insights, it will be important to make certain that in the next few years we retain the hearts and minds of physicians in this new way of relating to patients. In the US, many health systems are building their own innovation centres, but have not yet built the framework on how to judge their performance and key metrics. While local, entrepreneurial companies focused on innovation are creating products with local materials at affordable prices, there is potential for established global companies to capitalise on these markets. Building on their manufacturing expertise, device makers have to rethink efficiencies and cost savings for a successful concept-to-market product cycle to enter these markets they need to find new ways to meet local demands for technology, utility, and costs. Brian Wyatt currently leads the Medical Technology and Healthcare business unit at Cyient. He is responsible for design, manufacturing and maintenance, predictive analytics serviceofferings with a focus on driving affordable healthcare. Brian has a bachelor's degree in economics from Boston College and a master's degree in business administration from the Kellogg School of Management at Northwestern University.